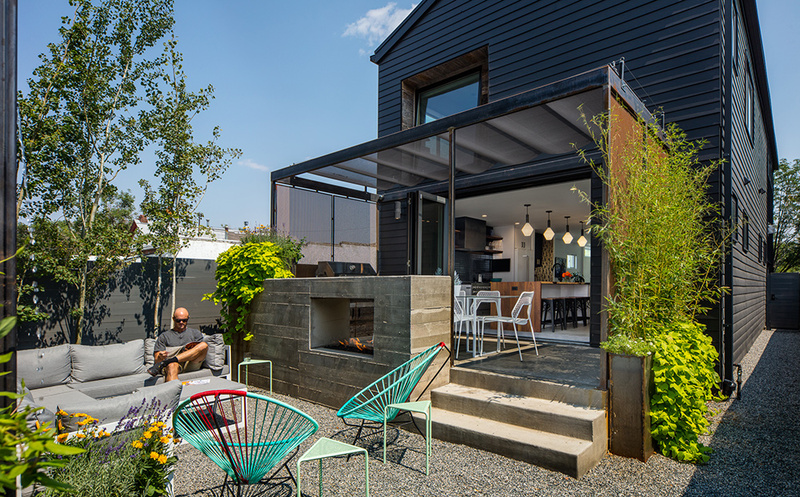 It's Denver Modern Home Tour Day! Purchase tickets at the door of any Tour home ($40 cash or check) between 11am and 3pm, or purchase tickets online and bring your ticket (or your receipt on your mobile device) to any Tour home and exchange for a wristband. 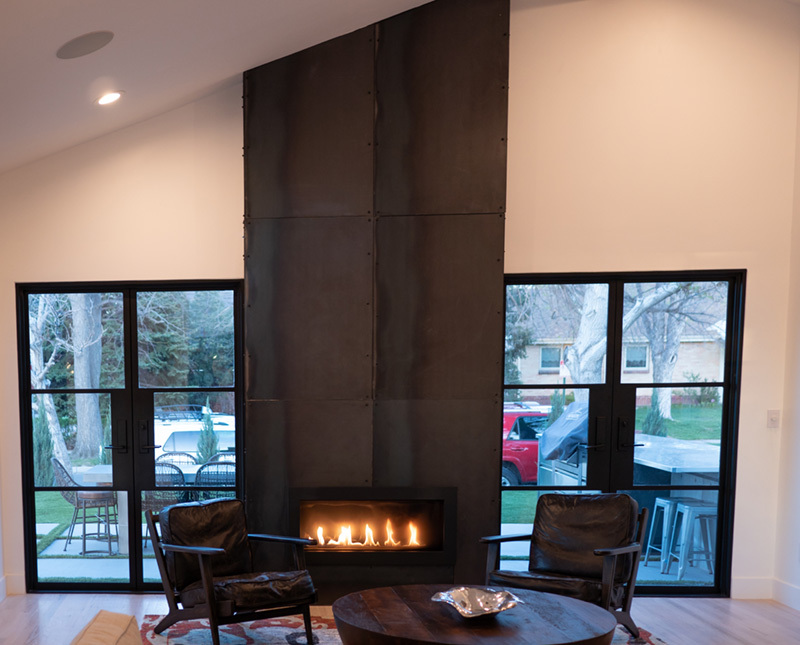 Enjoy the day touring Denver modern architecture and design! Still not sure? 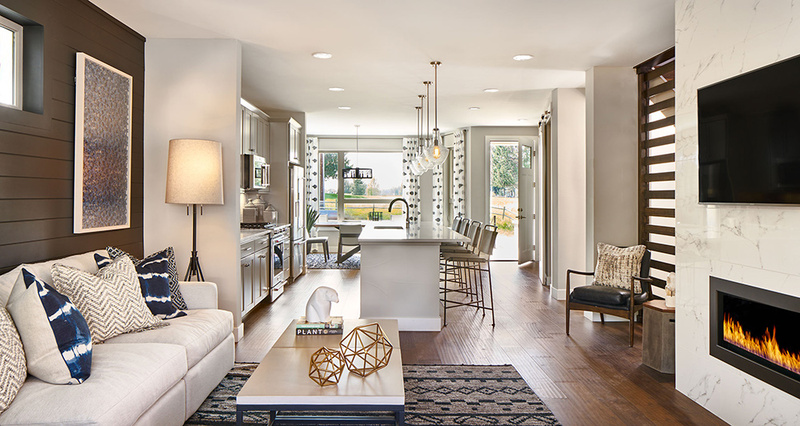 Just scroll down to learn more about the homes! 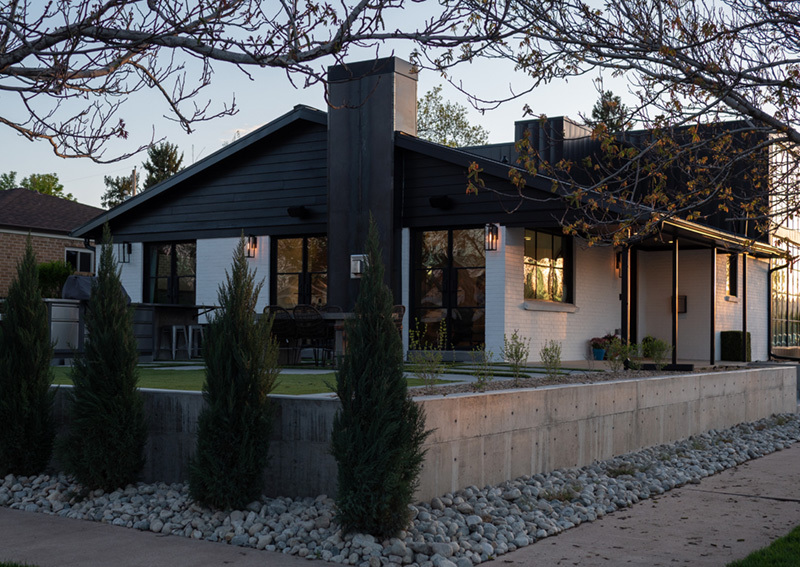 The Denver Modern Home Tour is your chance to get up close and personal with the architects, designers and amazing homes that define “modern” in Denver. 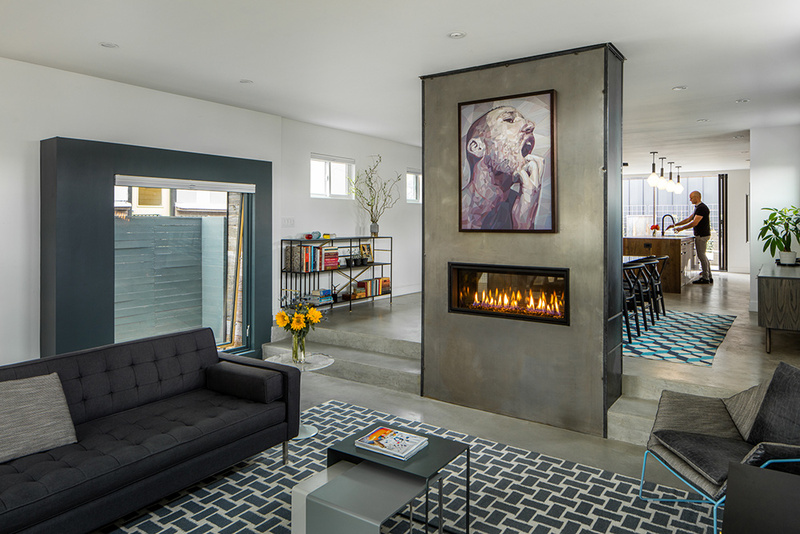 This 1957 built mid-century modern was completely revamped in 2011/2012. It’s not your average mid-century. 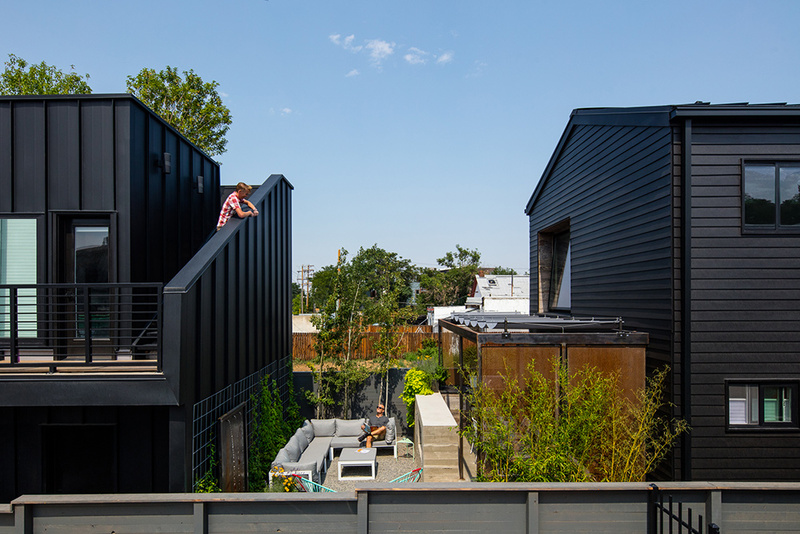 While maintaining 95% of the original home, the architect, Steve Barsch, added just enough square footage to create a master suite and upper deck while maintaining all the trees in the back yard. The result is a master suite that feels like a treehouse. The redevelopment process was very organic. 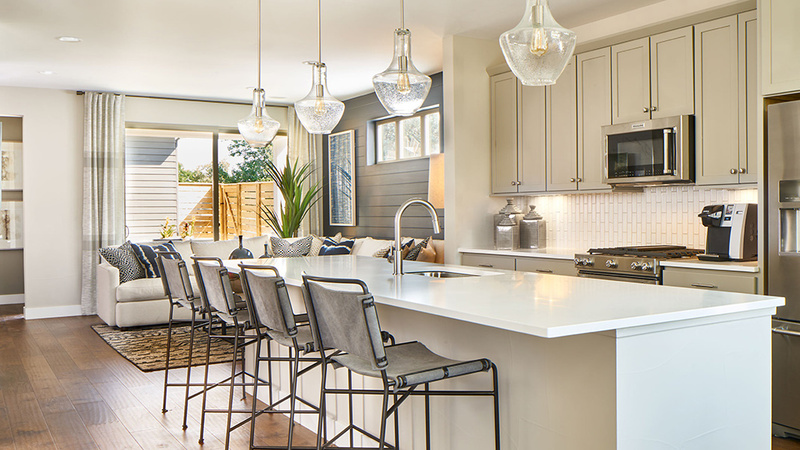 The owners wanted to keep as much yard as possible, open up the floor plan for family living/entertaining, add windows or cut bigger windows to draw in the light, and create outdoor space that made outdoor “rooms” under the trees. 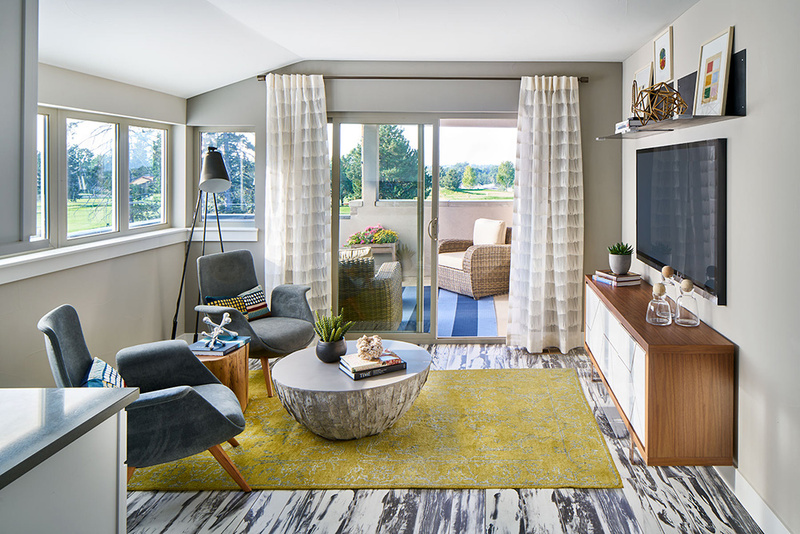 The end result has been a wonderful space for the owners to live and play with their dog. 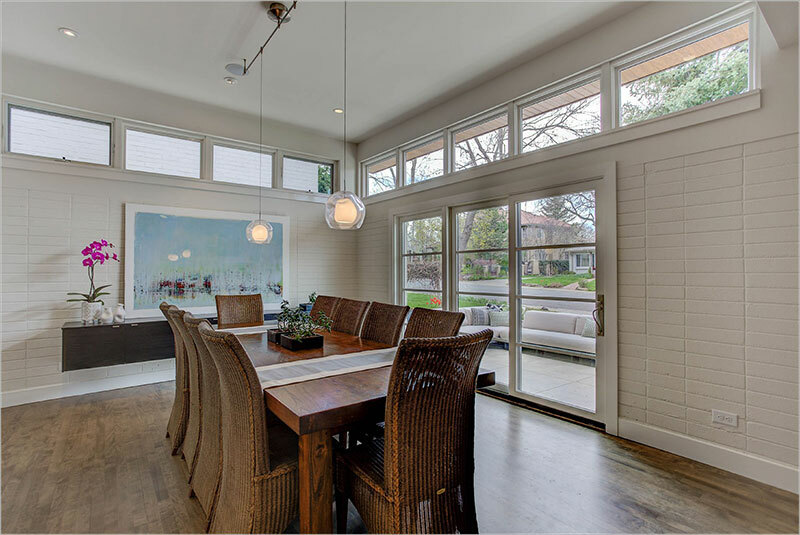 In 2016 the home went under construction again, this time under the direction of John Mattingly, Chalet Homes, to add an office/art studio off the garage for the owner to work and paint. This “man cave” has been a great retreat, blends beautifully with the original architecture, and provides an anchor to the south side of the property. Full gut renovation and addition to a Habitat for Humanity Home including a new garage and apartment unit. 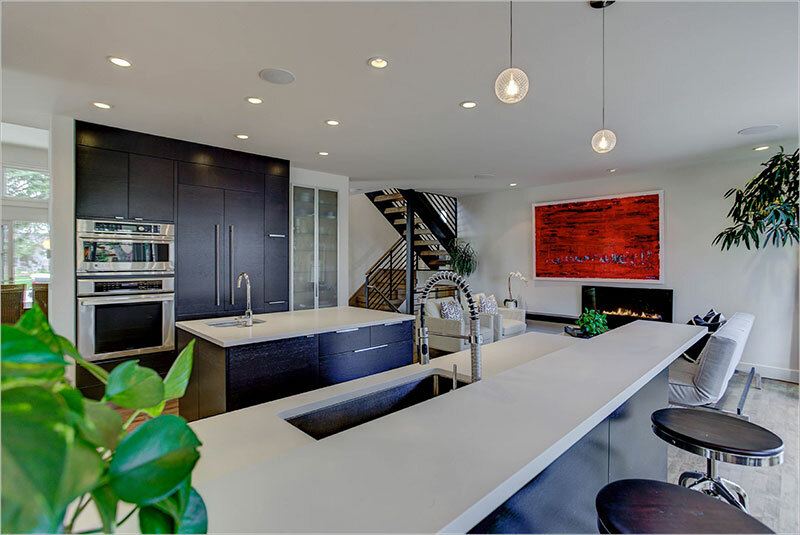 Ultra-modern design and finishes. Featured in Fall 2017 issue of Modern In Denver. 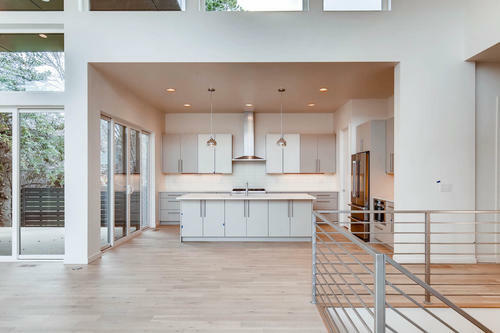 23 Wilder Lane is a light filled, glass walled open concept Eichler inspired ranch home that maximizes indoor outdoor flow. 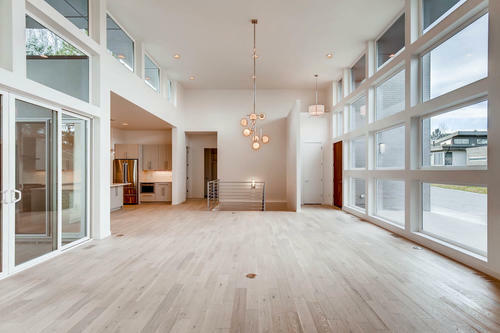 Its glass and brick facade soar from the street, and its interior great room is filled with light from 360 degree clerestory windows. 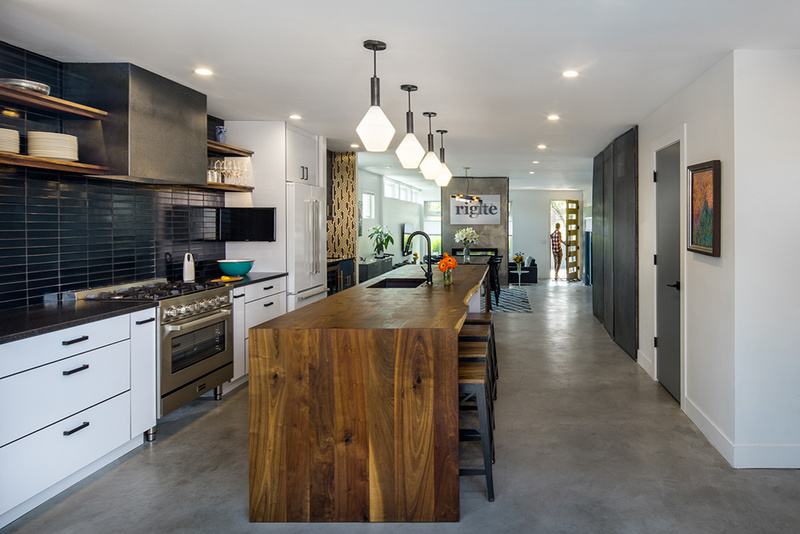 Great mid-century touches abound— grass cloth walls, clean kitchen space, cool lighting throughout. 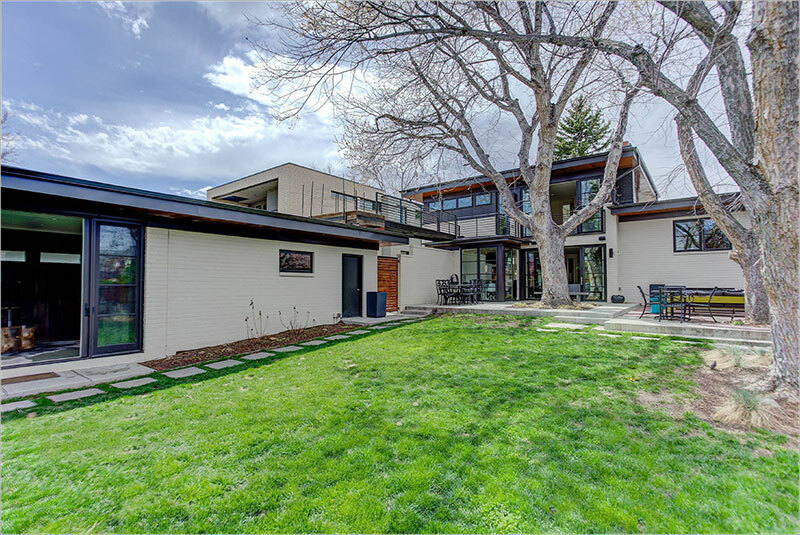 Originally completed in 1960, this simple 1950’s ranch-style dwelling has been updated into a contemporary home on a prominent corner lot with views of Sloan’s Lake and the mountains. 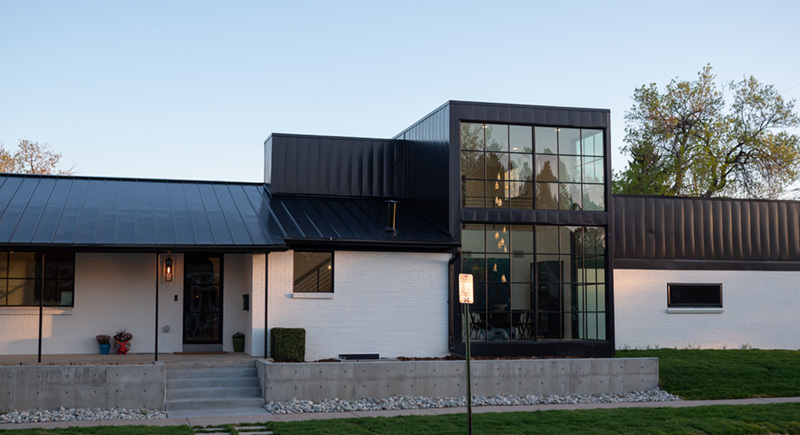 Using standing seam metal and custom glass and steel windows, along with the original painted brick, we created a simple form that is compatible with its surrounding neighborhood. 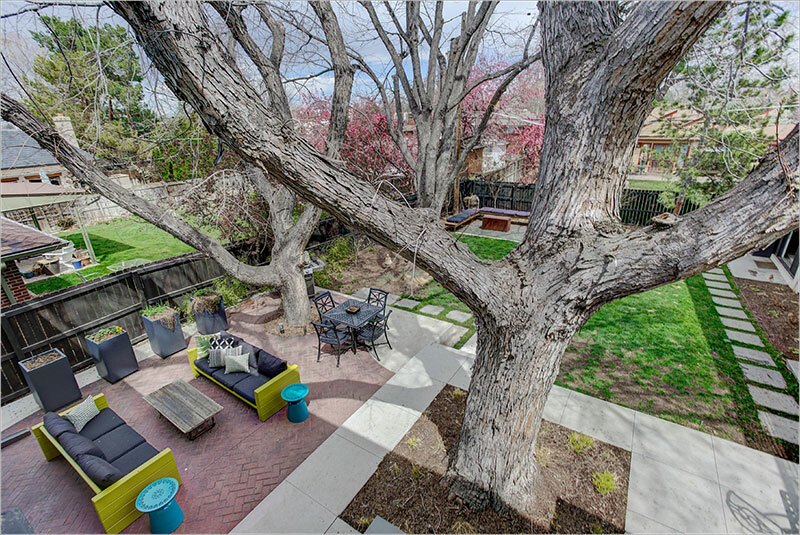 The large courtyard and open floor plan provides a unique indoor / outdoor living experience, exploiting the house’s impressive western views from a two-story open atrium and dining room. 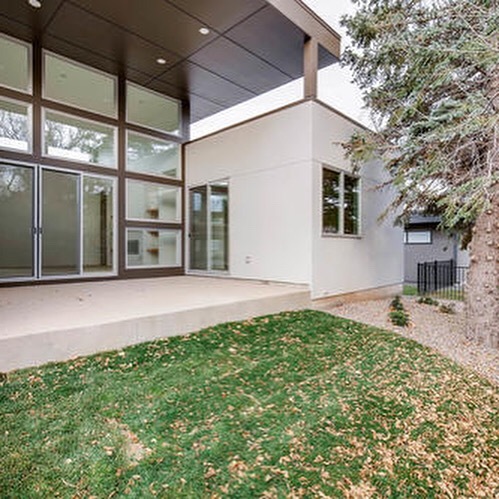 Located minutes from Denver’s downtown core, this urban infill paired home is located in a trendy, highly desirable neighborhood and boasts spectacular views from the highest point in Denver. 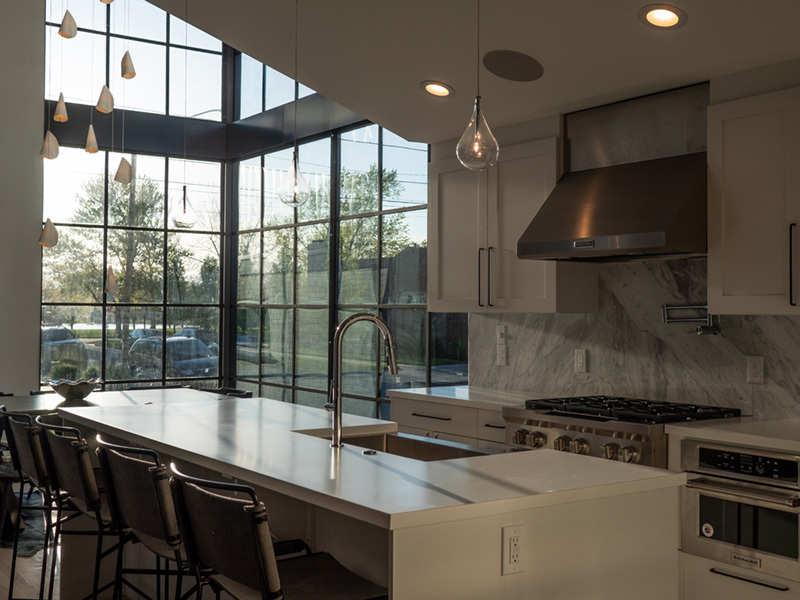 The home nestles into the surrounding community and golf course with a modern architecture style utilizing a host of design elements found in the eclectic mix of styles from the surrounding neighborhood. This plan fits the best of all worlds into a compact, urban footprint: multiple private outdoor living spaces, 2 car garage, open floor plan, luxury master suite, home office and rooftop deck; all with the benefits of new construction and adjacent to a golf course. 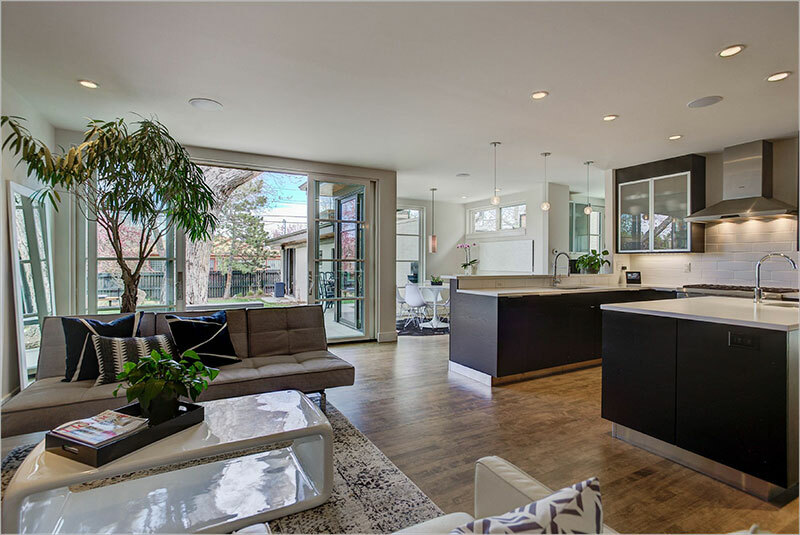 The open floor plan allows views through the entire home so you can see the front porch from the small, urban backyard. 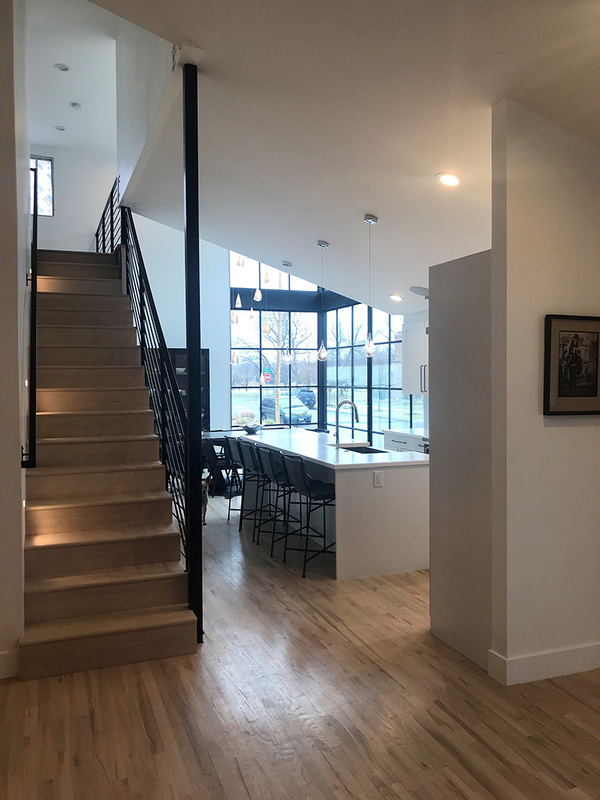 The efficiency of the linear stairs allows for an open, unimpeded plan on the first floor and generously sized bedrooms on the second floor. 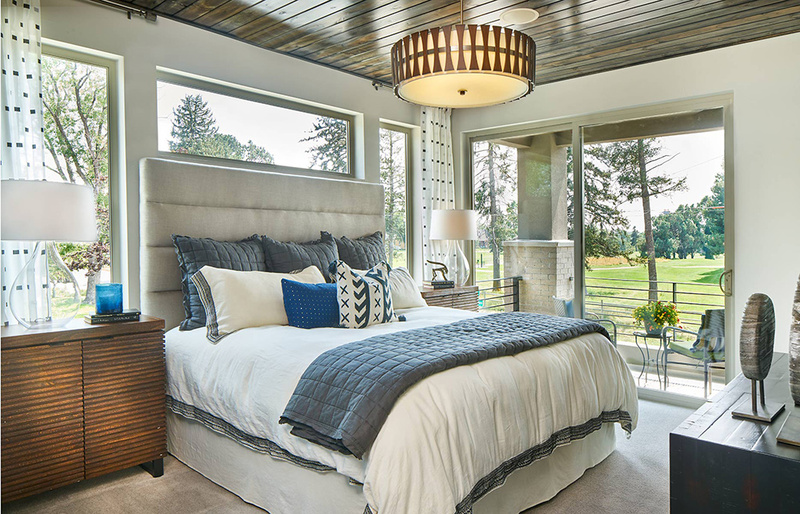 The roomy master suite features a private deck with golf course views and bath with free standing tub and glass enclosed shower. 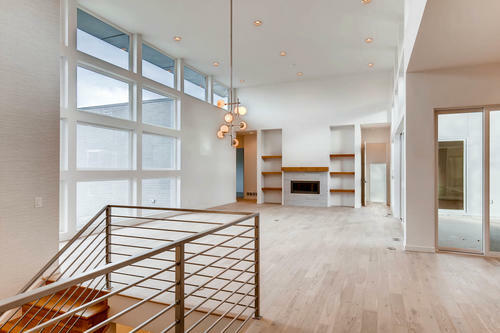 On the 3rd level a loft with wetbar and rooftop deck are perfect for casual entertaining. The study can easily become a 3rd bedroom.